Will VSG treat my information confidentially from the start? Yes. If you are inquiring about possible legal representation by our law firm in a potential whistleblower action, from your very first contact with our firm, we will treat your communications with us as confidential and subject to the attorney-client privilege. How will I pay for the firm’s services? Our whistleblower clients pay for our legal services (our fees) on a “contingent” basis. What this means is that we are paid our fees only if your case is successful and you receive a whistleblower award, or you achieve a recovery on a wrongful termination claim. In those circumstances, we are paid a percentage of our client’s recovery, as well as any fees and costs that we can recover from the defendant. The payment terms are spelled out in detail in a written retainer agreement between you and our firm. Does VSG represent clients outside Washington, D.C.? 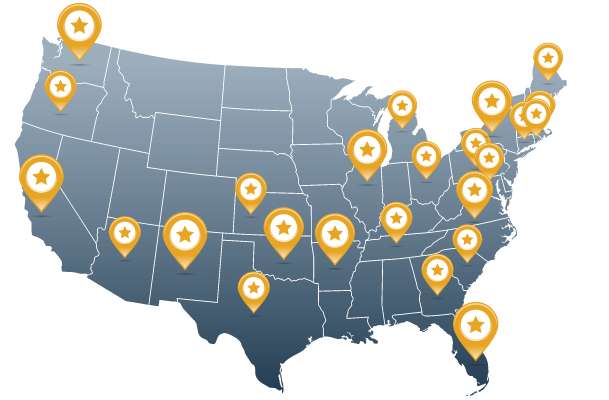 We represent clients throughout the country. Our whistleblower lawyers have handled lawsuits under the False Claims Act in 25 states to date. If I have been fired or discriminated against for blowing the whistle, can VSG help me? Yes. We represent many clients who have suffered retaliation because they have refused to go along with a fraud scheme or have taken steps to stop or report the fraud. The False Claims Act contains a whistleblower anti-retaliation provision under which whistleblowers can seek damages for the wrongs they have suffered. Does the firm collaborate with other law firms? We often collaborate with other law firms when they bring us on board for our qui tam expertise, or when we arrange for them to serve as local counsel. Sometimes, if the case is heading into particularly complex litigation, we may collaborate with other law firms to augment our resources. Our clients ordinarily do not pay a greater fee when multiple firms are involved. Who at the firm would work on my case? Each of our firm’s partners has spent several decades involved in qui tam and other anti-fraud work. To give our clients the full benefit of our background, one or two of the law firm’s partners will personally handle your case, along with other members of our legal team. Our partners pride ourselves on our willingness and ability to immerse ourselves in each client’s case. We also understand your need to communicate directly with a firm partner on all aspects of your case. How does the prior government experience of the firm’s partners benefit its qui tam and whistleblower clients? 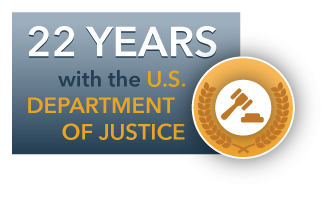 Collectively, our firm’s partners spent 22 years with the U.S. Department of Justice handling fraud and False Claims Act matters. Mr. Vogel and Ms. Slade worked in the Civil Frauds Unit where they prosecuted False Claims Act cases. Ms. Slade also served as Senior Counsel for Health Care Fraud for the Civil Division. Ms. Goldstein served as a criminal prosecutor for the U.S. Attorney in Los Angeles where she specialized in prosecuting corporations and individuals who committed fraud against the government. Our government experience gives us an in-depth understanding of the Justice Department’s policies and procedures in qui tam cases, and strong insight into the views of the key decision-makers, offices, and agencies involved in False Claims Act work. What happens if the Government decides not to go forward with my case? Do VSG qui tam attorneys litigate cases declined by the Government? We are experienced qui tam lawyers who have successfully litigated a number of declined qui tam cases. If a case is declined, we then assess whether the potential benefits of litigating the case outweigh the potential risks, and we discuss our assessment with our client. In the event we decide against proceeding, we try to facilitate the ability of our client to retain new counsel should he or she wish to take the case forward nonetheless.